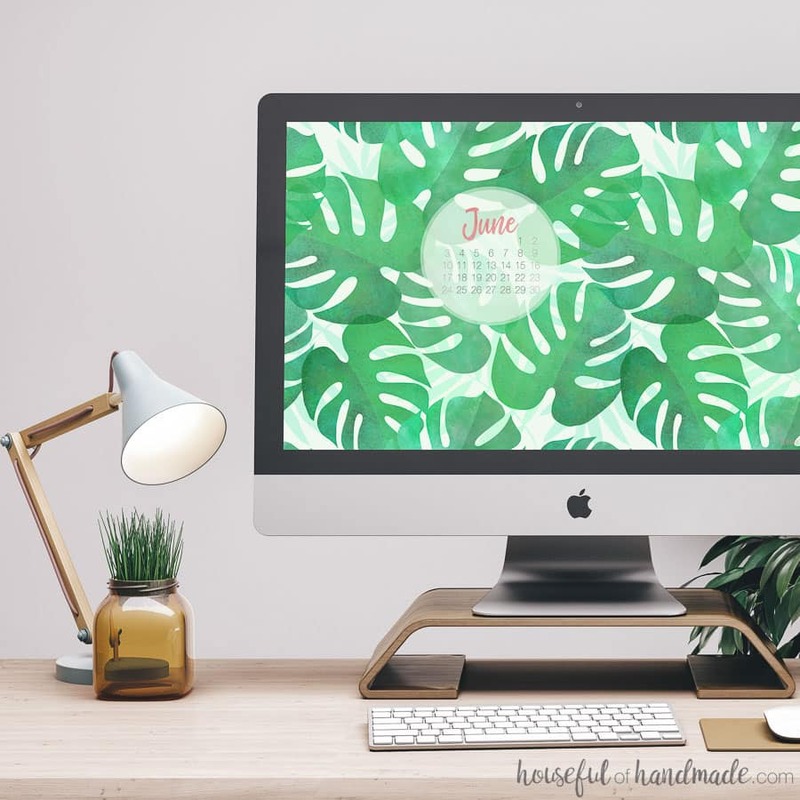 Take a tropical vacation every time you look at your screens with these free digital backgrounds for June. 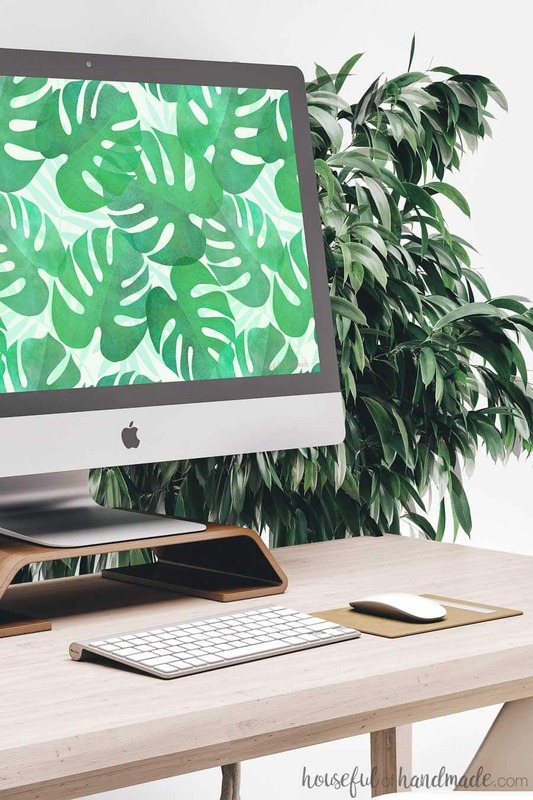 Tropical palm leaves are the perfect print for your computer or smartphone screen this summer. Download the backgrounds with or without a calendar. Who’s ready for summer? I am more than ready! After our extra long weekend vacation, I am struggling to get back to work and am so sad the kids have 1 more week of school still. I’m ready for lazy summer mornings and sipping lemonade by the pool. So of course the free digital backgrounds for June are all summer all the time! I would love to say that our fun little vacation included a trip to the beach, but instead we went exploring the mountains of Colorado. There was hiking and cold mornings sipping coffee. Farmer’s markets and wildlife. But no beach! Coming back home to the 80+ weather makes me ready for the beach, but since it is far away, I brought the beach to me. Okay, so maybe the tropical palm leaves are not exactly the beach. But we all know the beach is close by when there are tropical plants around. So it totally works! And palm leaves are very popular right now. Who wouldn’t want to surround themselves with fabulous greenery that makes you just want to put your feet up and have a mojito? I know I do (hence the reason we decorated our outdoor kitchen and dining area with all things tropical). 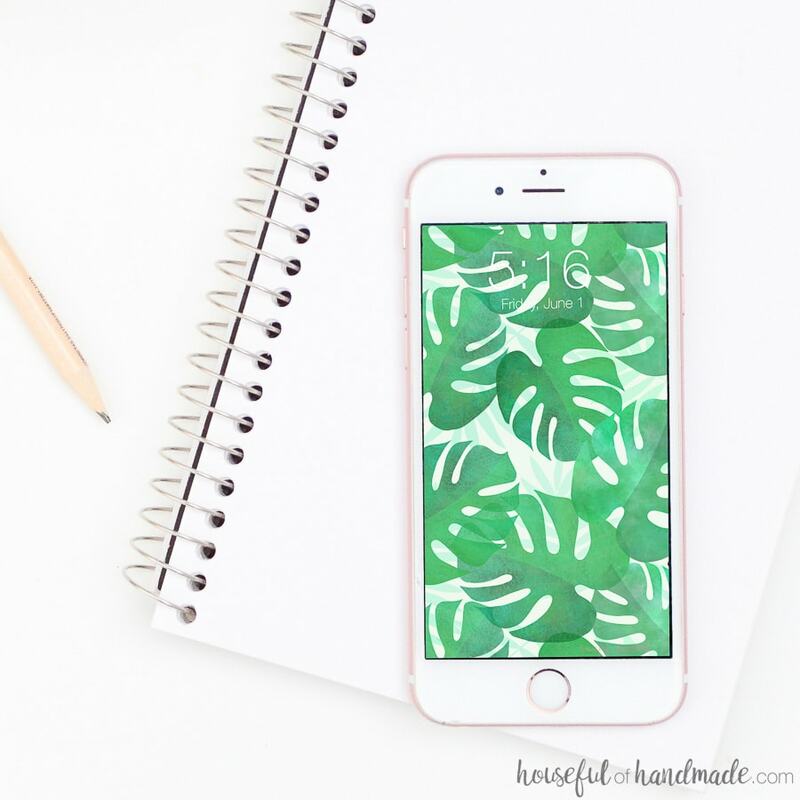 So if you are ready to turn your computer or smartphone into a tropical oasis (or tropical oases… if you want the tropical palm print on every screen you own), click on the link or links below to download them. Mojitos not included, sorry! And now I am off to relax and pretend it’s summer, just until I have to pick the kids up from school and try to get them to do their homework. Bring on summer! 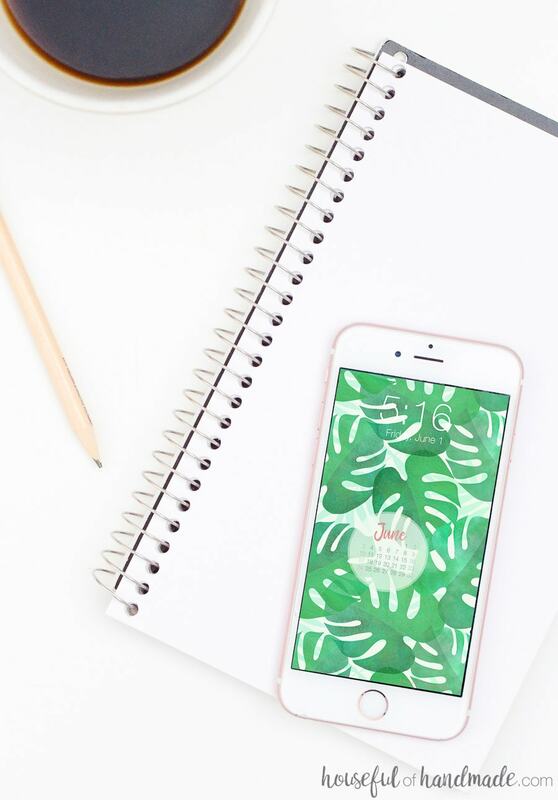 If you want more fun summer backgrounds, check out these oldies, but goodies!